Throughout the ages, music has always been an essential part of human culture. It is always around us -- be it in the singing of the birds as we wake, or in the humming of a stranger waiting for the bus. Even as children, we were already attracted to music. I can tell you that based on my observation, children will generally light up if they hear a song. I think that we, as parents, should try to introduce music to our juniors as early as possible. It is even better if we can get them to learn how to play a musical instrument. Even if they do not wish to play professionally, there are benefits to learning; recent studies showed that music has a positive impact on children as they develop cognitive skills, and that children who learn a musical instrument tend to have better auditory skills. 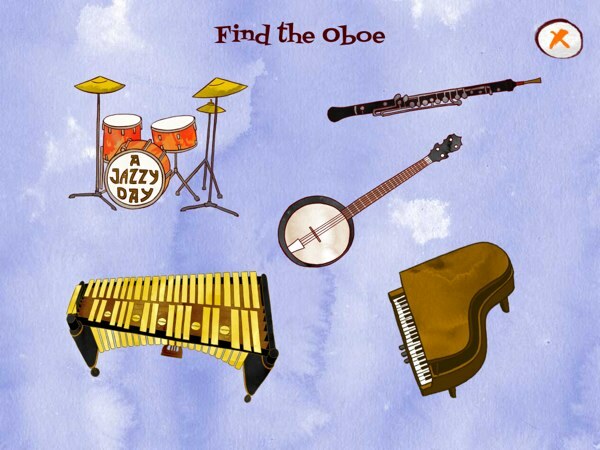 Jazzy ABC by The Melody Book is an educational app geared towards younger juniors. The aim of the app is to introduce them to musical instruments and ABCs at the same time. Like most alphabet apps, it uses the popular flashcard format, where each letter in the alphabet is presented in a single page. Accompanying each letter is a picture of a musical instrument or a musical term whose name starts with that letter. Juniors can tap on the picture to listen to a jazzy riff played using that instrument. Two recordings are included for each instrument -- one is upbeat, while the other mellow -- to show the different tonal qualities it can produce. It is also worth mentioning that several letters have additional interactivity where juniors can play the instrument instead of merely listening; these letters are K (Keyboard), X (Xylophone) and N (Notes). Along with a section for learning the alphabets, Jazzy ABC also includes a game section where juniors can play a mini game to reinforce the materials that they have learned. There are two types of questions that the app used to test your juniors; in the first type, your junior is given the name of a musical instrument that he must identify from several pictures. 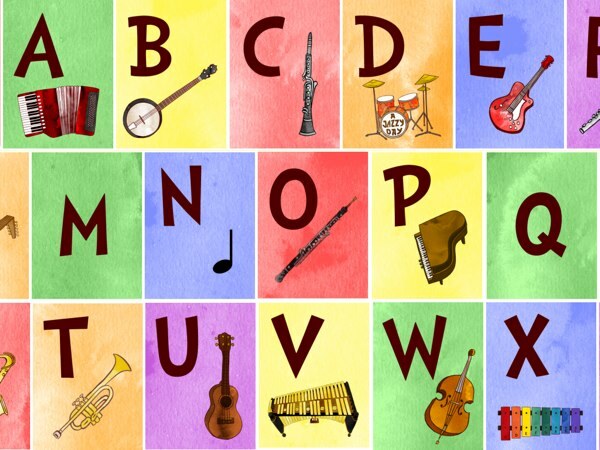 The second type requires your junior to find the musical instrument that starts with a given letter. A fun feature included in the app is a camera, where your junior can take a picture with the mascots of the app: two cute, jazz-playing kittens. You can then save or share the picture via email or Twitter. I wrote previously that there are already so many alphabet apps on the App Store, that it would take a lot for an app to be special. Jazzy ABC did it by using a unique theme, that is, musical instruments. I personally think that the app is quite solid and would be great for introducing musical instruments to juniors. There is a wide range of instruments showcased in the app, and I myself learned a new vocabulary or two -- I have never heard of a vibraphone prior to using this app. I really love how the instruments are interactive, and while I wish all of them are playable, I like listening to the jazzy riffs when I tap on them. The recordings are also of high quality; the developers mentioned that they recorded with professional musicians and used real acoustic instruments. My personal favorite is the letter K (Keyboard), where I can actually tap on each key on the keyboard to hear the different notes. Visual-wise, the app is lovely with its vibrant, watercolor-like illustrations. The user interface is also simple and clutter-free, which I like a lot. Jazzy ABC is a lovely app that I highly recommend to any parent who wants to introduce musical instruments and alphabets to young juniors. With a wide range of instruments available in the app, I'm sure it won't be long before your junior begs to learn how to play his favorite.